CALABAR—PASTOR Usani Usani, Minister of Niger Delta Affairs, has restated his claim to the governorship ticket of All Progressives Congress, APC, in Cross River State, noting that no court invalidated his mandate. 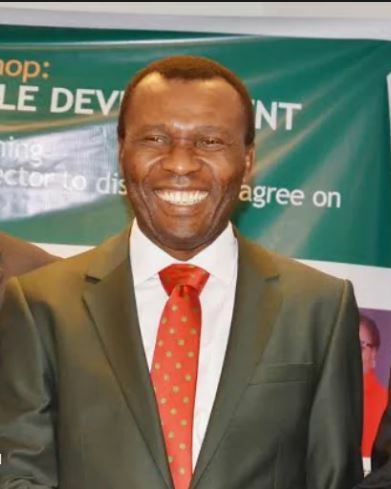 Usani, who spoke through the Director-General of his campaign organisation, Pastor Ene Cobham, dismissed insinuation that the judgment of December 13, 2018 by Justice O. A. Musa, had been set aside by another High Court in Abuja ruling on January 8, 2019. In a statement in Calabar yesterday, Cobham said only an Appeal Court can set aside the judgment of December 13, 2018, for which he said a Notice of Appeal was issued to his opponent. He said on December 13, 2018, an Abuja High Court presided over by Justice O. A. Musa, dissolved the State Working Committee of APC in the state headed by the late Matthew Achigbe and ordered the National Working Committee of the party and the Independent National Electoral Commission, INEC, to receive all candidates that emerged from the Godwin John-led State Executive of the party for the general election. He appealed to Usani supporters to remain calm and peaceful and observe the Nko declaration tagged Operation Deliver for APC. Cobham also announced that in the coming days the campaign council will take off across the state.